Mr Hopkins particularly named the following ladies -- Mrs J. Allen, Thos Culley, H Malpas, T. Martin, T. Atkinson, Rd. Hill, T. Marshall, H. Dowty, T. Adam, J. Pointon, JB Bennett and S. Sibley. At the inquest held after the fire, Dr Jay, the coroner took evidence from a number of people. It became clear that the behaviour of John Dwyer was deeply suspicious. John Dwyer was the brother-in-law and former partner of Andrew Doolan and the brother of Mrs Doolan. The partnership had ended badly, and Dwyer had punched Doolan and broken windows of the Doolan house. Mrs Doolan claimed at first that she had seen an unknown man lighting fires, and others came forward to testify that they had seen Dwyer come from the direction of the Doolan farm after the fires had started. There was some conflicting testimony, however, with other witnesses stating that Dwyer had been at home. 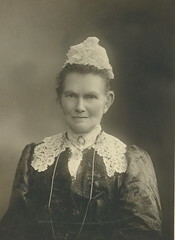 Witnesses also noted Mrs Doolan’s hysterical behaviour at the time of the fires, and her references to “her enemy”. Then Mrs Doolan changed her story — the man she had seen was indeed her brother, John Dwyer. The matter was referred to the Supreme Court, where John Dwyer was acquitted due to the contradictory evidence. 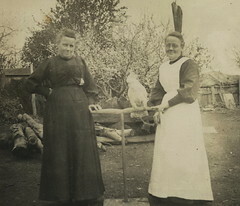 Dowty sisters, Willunga, ca 1900. Do you remember Bush Fire at Willunga 1874 ? Then Join up and add your memory here.